Every year that I was growing up, my parents would take us to the Central Florida Fair. The first thing my mom would do as soon as we had purchased our tickets and entered through the front gates was sniff out the sausage and peppers stand. She loved the big, sweet grilled onions and chunky, colorful grilled peppers with the ropes of Italian Sausage cooking on a big flat-top and would step right in line to purchase a sausage and pepper sandwich. I don’t remember being very interested in anything much about this stand other than the smell. I can’t remember what I ate at the fair when I was little, other than cotton candy on our way out, but as I grew older I began to appreciate Mom’s love for her favored sandwich. When I moved away, anytime my husband and I visited a fair, I had to follow my nose to the sausage/peppers stand out of tradition. I rarely find anyone serving them, but when I do, I indulge and sometimes, I just throw it together myself. This time around, I put the sausage, onions, and peppers on freshly baked focaccia squares and melted cheddar over the top as a nod to the Philly Cheese Steak sandwich. 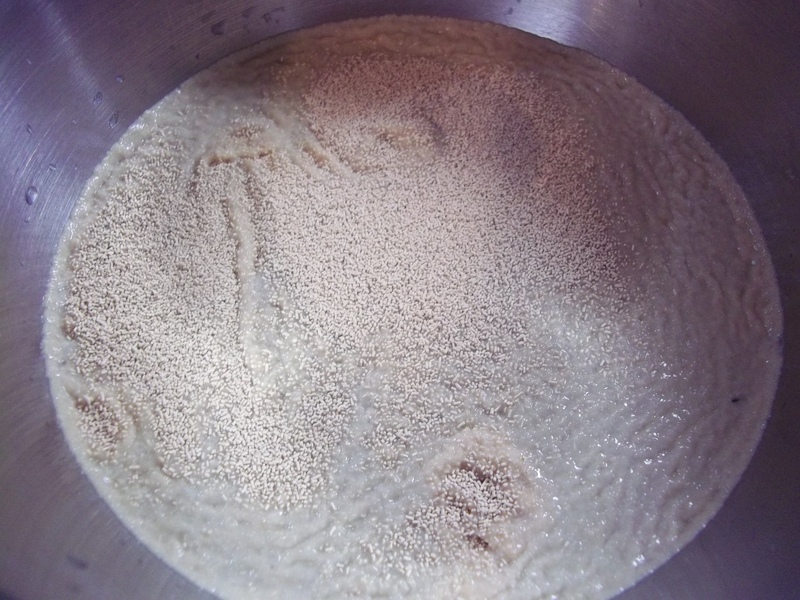 In a medium bowl, add yeast to very warm water. Stir and allow to bloom for 5+ minutes. Add sugar and oil. Sift together 3 c. flour and salt. Make a well in the center. Pour in yeast mixture. Mix together well. 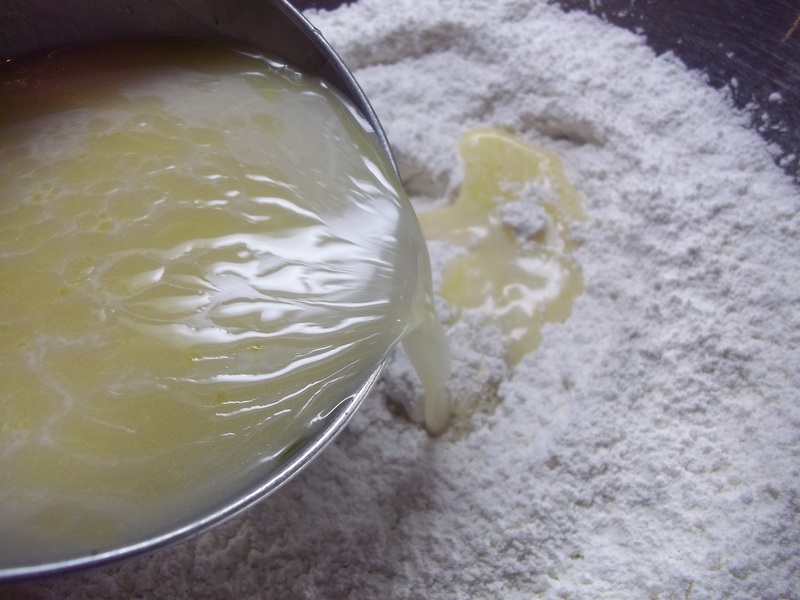 Beat in a cup of flour at a time until you can no longer stir it in. 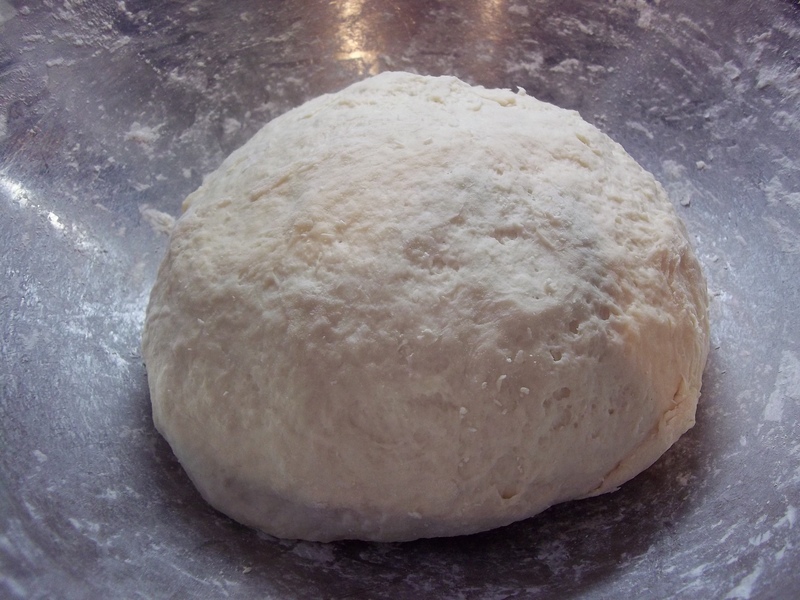 Knead in remaining flour until an elastic dough is formed. Cover and set in a warm place to rise 3 hours. Divide in half. Work one half at a time to shape or roll into a circle and place on a greased sheet pan or baking stone. Cover and allow to rise 1 hour. 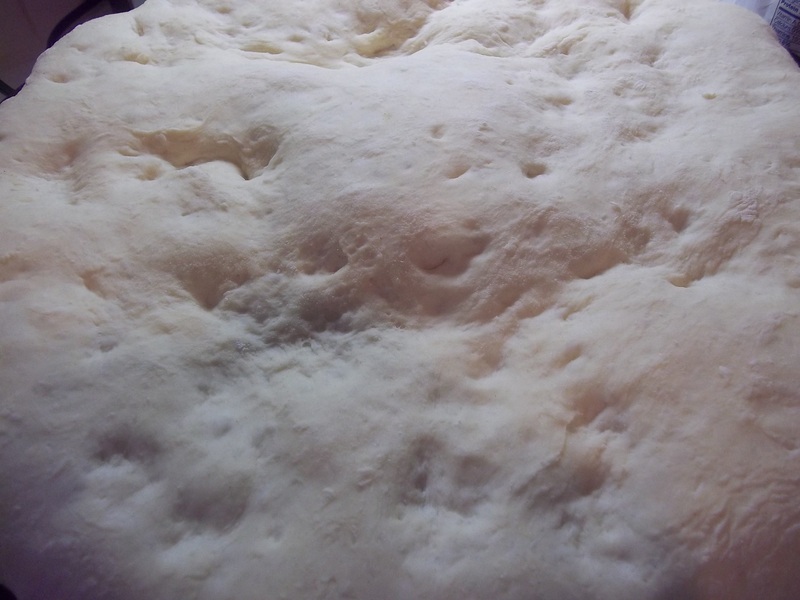 Repeat with the second half to make two focaccia rounds or use the dough to make rolls, pizza, etc. When the dough has risen. 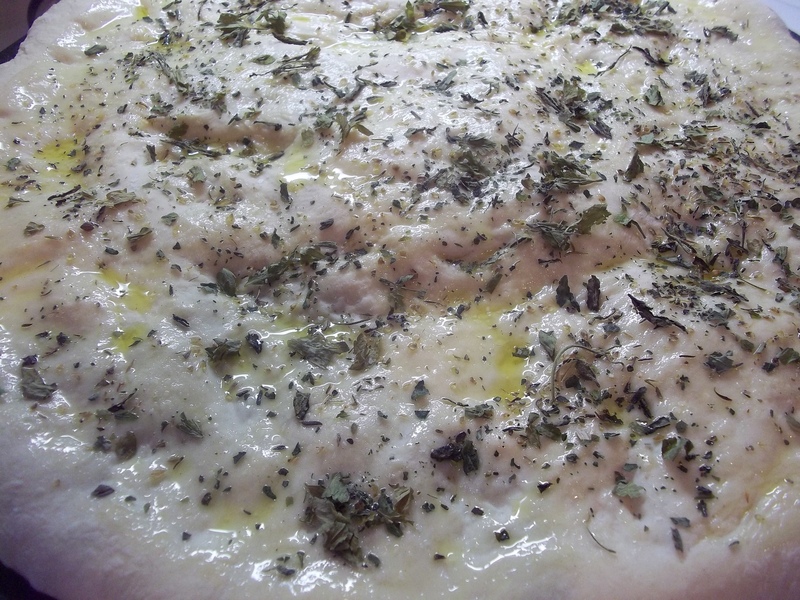 Generously brush the surface with oil and sprinkle on salt, pepper, and herbs of your choice. 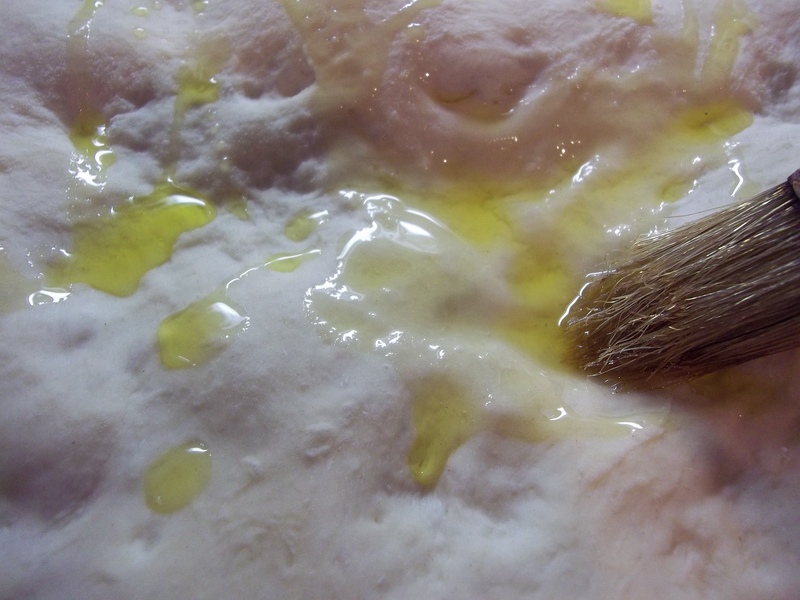 For a shiny golden surface, brush on a beaten egg rather than the oil. Bake in the oven for 20 to 30 minutes, depending on how brown you would like it to be. Grill sausages until almost cooked through. 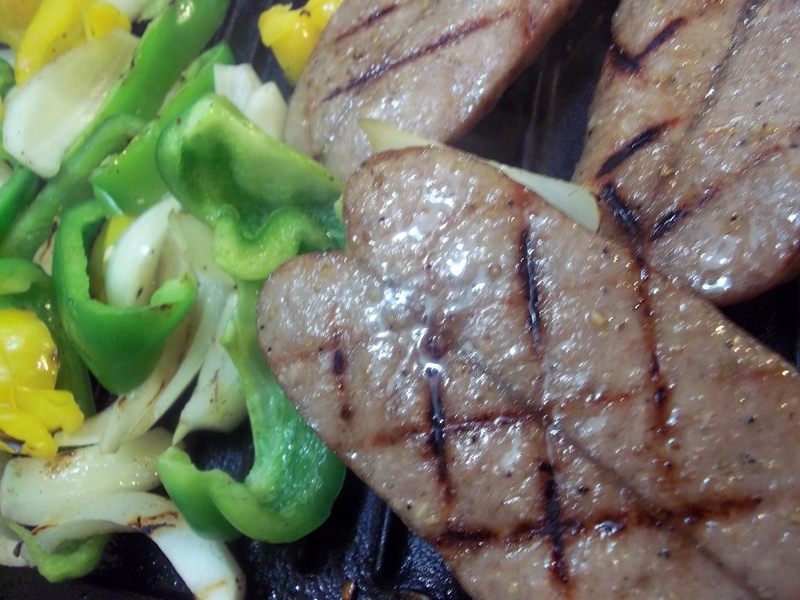 Add onions and peppers, salt and pepper and continue grilling until sausage is thoroughly cooked and onions and peppers are wilted and browned a little. 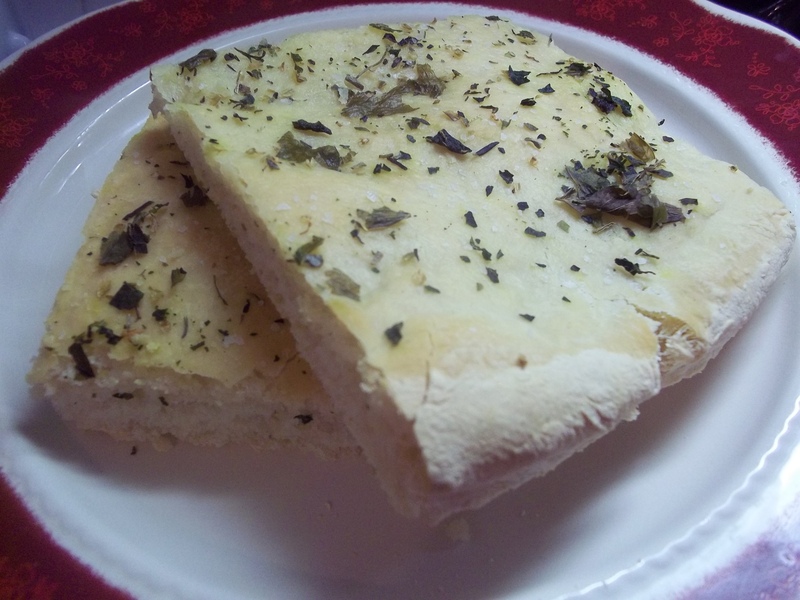 Cut the focaccia into squares. 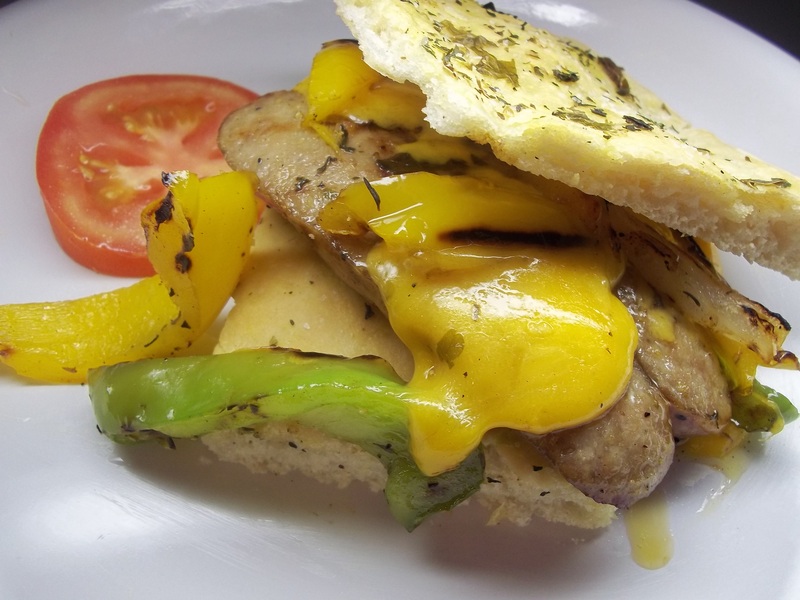 Place a sausage on one piece, a pile of the vegetables over top, and immediately cover with cheese. Note: My focaccia was hot from the oven so the cheese melted immediately with the hot peppers on the bottom and the hot bread on the top, but you can broil them to melt the cheese. I did for the photo so it would ooze nicely over the bottom portion.